Constitution Day is a public holiday in the Republic of Fiji celebrated on September 7. It was first observed in 2016 to commemorate the third anniversary of the adoption of the current Constitution of Fiji. 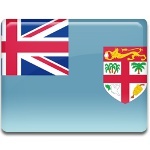 Since the declaration of its independence from the United Kingdom, Fiji has had four constitutions that were adopted in 1970, 1990, 1997, and 2013. The fourth and current Constitution was signed into law by President Ratu Epeli Nailatikau and came into effect on September 6, 2013. The first Constitution of Fiji contained provisions to ensure the political supremacy of the minority indigenous population. However, after several failed coup attempts and a population shift back to an indigenous majority, it became evident that the country’s political system needed to be reformed. The 2013 Constitution eliminated race-based electoral rolls and seat quotas. It also abolished the Senat of Fiji (the unelected upper chamber of the Parliament) and the hereditary Great Council of Chief. Besides, the new constitution lowered the voting age to 18 and permitted multiple citizenship. The new Constitution of Fiji included some controversial provisions and was subject to criticism. Constitution Day was established to educate people about the new constitution and to promote it among citizens.